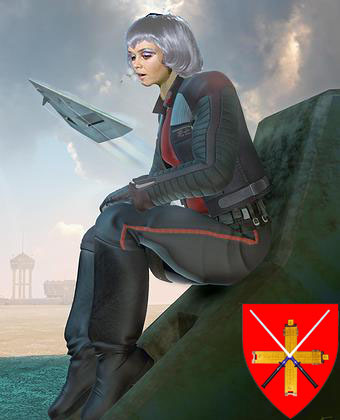 Lady Dame Mikah received her Knighthood from the Duke of the Vilis Subsector, and has received full confirmation of her title. She has gained Elevation to "Lady of the Court of the Domain of Deneb" from Arch-Duke Sir Norris of Regina in the Mora system in 1112 (TI). Aboard ship, Mikah helps when she can in Engineering and, in extreme situations, can perform as a backup pilot. 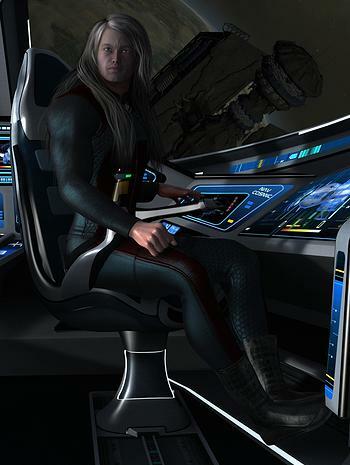 Sir Zimzod is the Crew's Ground Combat Commander, a Ship's Weapons gunner and member of the crew's security on-board. 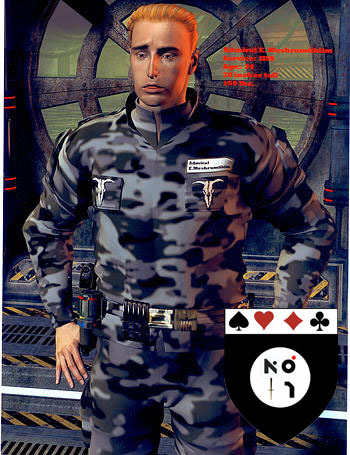 He is a veteran of the Imperial Navy, Army and Marines as well as the Fifth Frontier War. Sir Zimzod received his Knighthood, with Lady Dame Mikah, from the Duke of the Vilis Subsector and also received full confirmation of his title. These claims were enflamed when the Hotel California arrived in the Rhylanor system and, in part to show support for Rol's work and decorations, Duke Sir Leonard Knighted Rol as a Knight Protector of the Quadrant in his authority within the Marches. As this was a local title and not an Imperial one, this title does not require further confirmation. He has since been created a Knight of an Imperial Order. Rol was a Major in the Imperial Marines and serves aboard as Ship's security and ground combat support. He also provides planet-side skills such as animal handling and cultural advice with, ironically, the Vargr. 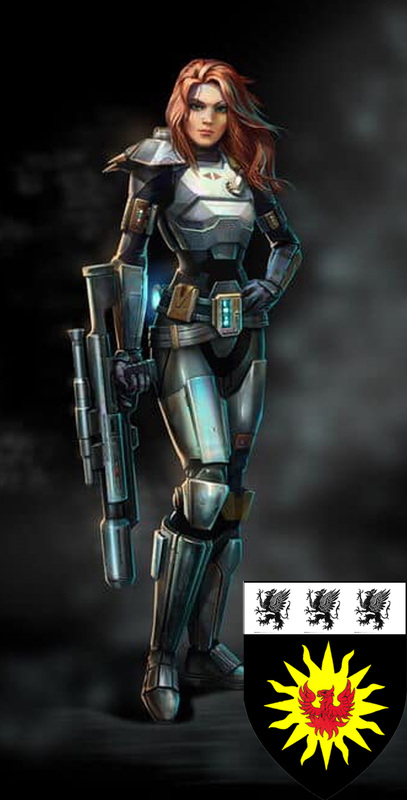 "Aali" is a veteran of the Imperial Navy and Scout Service as well as the Fifth Frontier War. During the war, Aali met and had a red hot and "whenever we meet" affair with Emkir. Each believed the other dead in the war until the Hotel California advertised for an engineer in the Rhylanor system. There, she became the Number Two engineer working for Sir Brian. Since Sir Brian's death, she has assumed ownership of the engineering 'droid Wall-E and been promoted to Chief Engineer. On their return to the Rhylanor system late in 1112 (TI), Aali and the crew were honored for their actions against the ragtag Sword Worlds fleet assembled by Baron von Kreden, and she was Knighted. 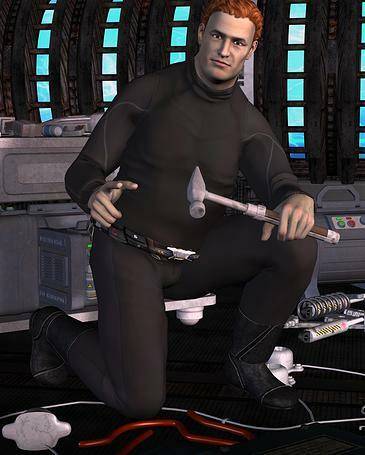 Emkir is also a Veteran of the Imperial Interstellar Scout Service and the Fifth Frontier War. During the war, Emkir met and began an affair with Aali as they each were assigned to lead crews on highly dangerous missions crossing Zhodani battle lines to get data and orders to and from isolated bases and commands. Emkir is the Hotel California's Computer officer, Number two pilot and one of the crew's chief diplomats as well as being a 'razor' for red tape. He's also the ship's most skilled gambler. On their return to the Rhylanor system late in 1112 (TI), Emkir and the crew were honored for their actions against the ragtag Sword Worlds fleet assembled by Baron von Kreden, and he was Knighted. 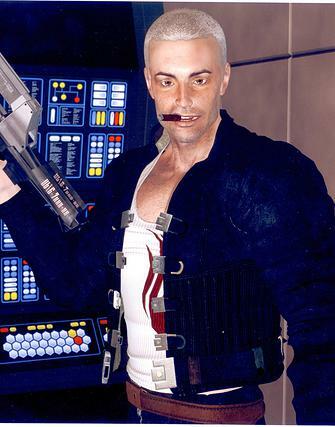 Aiden is the Hotel California's Lead Pilot, having served in the Imperial Interstellar Scout Service. During the Fifth Frontier War, he survived some of the most deadly battles of the early war. 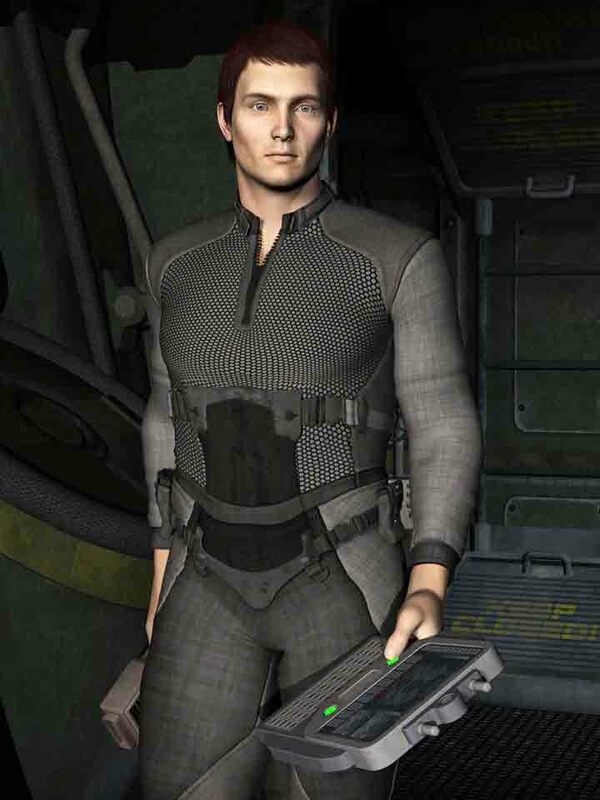 In addition to piloting the ship, Aiden is also the crew's most skilled sensor tech. His only reliance in handling the vessel is in Astrogation. On this, he relies on Sir Terin Yundis Geryen as the ship's primary Astrogator. Aiden has recently certified as a Junior Astrogator himself. He's also one of the crew's most heavily armed members. Aiden was recognized by the Grand Duchess Delphine Adorania Muudashir, while in the Mora system. She granted him the rank "Scout Commander" and created him a Knight for his heroic actions in the Caladbolg system(Sword Worlds) during the Fifth Frontier War. Fesic Anfertirkåsmokt ( An-fer-tir-kas-smak-t ) was raised at the bottom of society in the Flammarion system (Sword Worlds) and raised himself up through Imperial military. After one term as a member of the IISS, Fesic joined the Navy and never looked back. Fesic is skilled in the operations of starship laser turrets and rose to be the lead NCO for a battery. In addition, Fesic brings to the crew some second string engineering skills as well a fairly rounded collection of additional skills and interests. (See more of Fesic's history here). Jocelynn was born to parents working on a mobile "test drill" rig for Glisten Mineralogical LIC. Both died in an unexplained accident and she was adopted by a uranium miner who survived the accident. She had a hard life and her "survivor's stipend" caused greed and envy in the neighbors. Enjoyed the friendships she could and hearts she could win she still had to fight in her own defense. And despite her looks and ability to sway others with words, Jocelynn was also a street fighter. Her community didn't improve as she grew, and her step-father still aged. Halfway through secondary school, they saw a future there was not in the cards and her aging step-father gave her his everything he could as she finished her schooling and made her way to an Imperial Naval recruiting station. Not what the Imperial Navy was looking for, the Marines were happy to take advantage of her disappointment. Not that she saw things in that light at the time, she was able to see things clearly later, and was pleased with the outcome. Sir Terin is biologically a Darrian, born to Darrian parents living in an enclave in the Lysen system(Jewell). 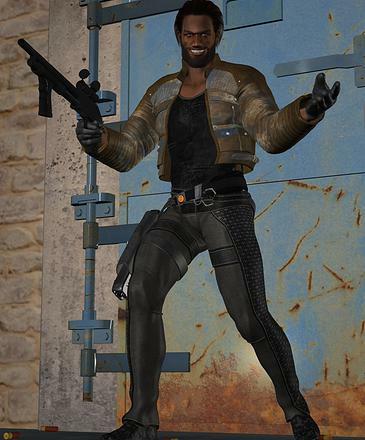 Born with a desire to explore( "Geryen" in the Darrian language), Sir Terin joined the Imperial Interstellar Scout Service, but was assigned to the Communications branch. Following a transfer to the Bureaucracy and a cross enlistment back to communications, Sir Terin was wounded and Knighted for his actions in the Fifth Frontier War(1109). He was created a Brother Knight of the "Knight Defenders of the Marches", the Order to which the Crew were added in 1112. 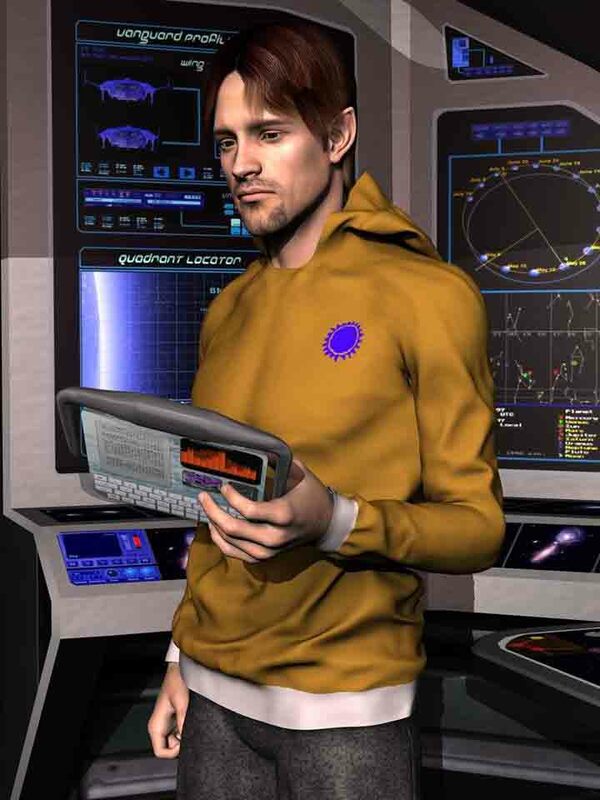 As a result, after Sir Terin's discharge and some personal surgery, he was introduced the to the crew to replace their late astrogator, Sir Zachariah Wood. Another graduate of the Imperial Interstellar Scout Service, Munarshu responded to the Crew's help wanted ad in their previous visit to Rhylanor. Sadly for him, Munarshu was not seen before then Dame Mikah hired Aali. Shortly after that, Munarshu hired on a "short run" and coincidentally returned to Rhylanor prime shortly after the gun fight that took Sir Zachariah Wood's life. 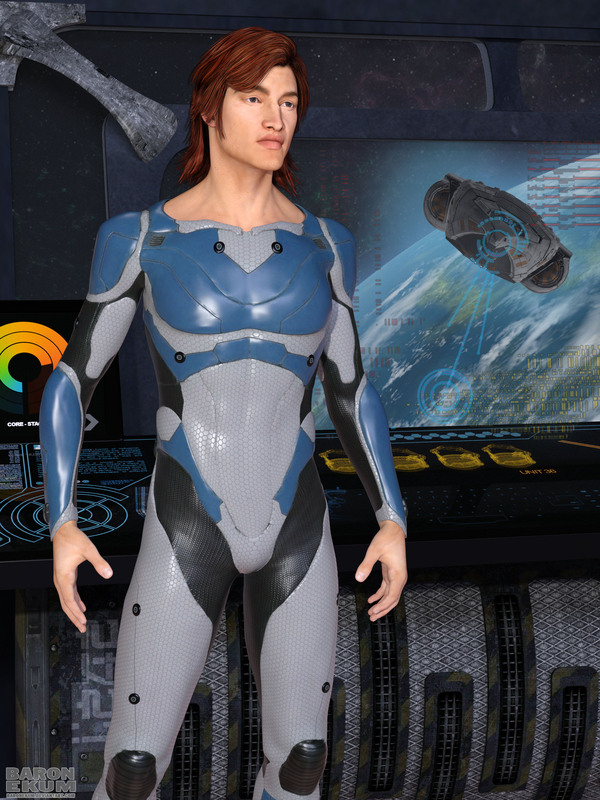 Needing a job, despite the danger that seemed to follow the crew around, Munarshu sent his resume to each of the Knights who were the ship's crew. When he did this, he had no way of knowing the ship needed engineering support. He also had no way of knowing he'd be hired on as the lowest peg on the totem pole. Sadly, Munarshu's time aboard the ship was marred by a number of incidents from going AWOL to accidentally shooting Sir Rol and Sir Emkir. The last incident resulted in Munarshu having been arrested in Regina and tried for Attempted Murder and other crimes. 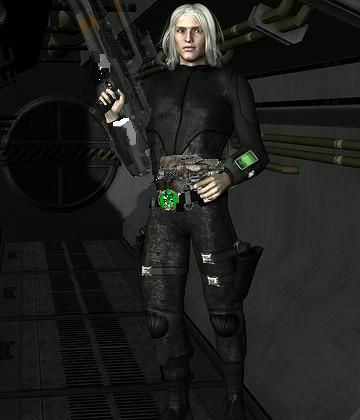 Ms. Vik, as she prefers to be called, escaped the culture of the Natoko system(Rhylanor Subsector) through a career with the Starport Authority. She rose in the SPA from a grunt to one of the most powerful positions the SPA has in an Imperial Sector. She is an expert in dealing with starport authorities, trader crews and that nature of red tape. She is one of the crew's diplomats as well as helping out in engineering as she can. In addition to having helped the crew gather large amounts of data, Ms. Vik had been the crew's most successful money earner until Sir Zimzod sold his Tellona Diamond. On their return to the Rhylanor system late in 1112 (TI), Ms. Vik and the crew were honored for their actions against the ragtag Sword Worlds fleet assembled by Baron von Kreden, and she was Knighted. Due to events during preparations to depart Rhylanor at the end of 1112, Inger petitioned Duke Leonard and Arch Duke Norris for permission to leave the ship and pursue her own path due to events between herself and the rest of the crew. Sir Brian had started out in the Imperial Navy but did not last. He made his career serving on merchanter vessels as an engineer and had been the Crew's Chief Engineer until his death. When the crew came under apparent attack, Sir Brian was aboard a salvager station working with the salvagers on taking apart recovered vessels and keeping an eye on the Hotel California while engineers there modified the California. It was confirmed that the crew were under attack when three vessels crept into the outer Rhylanor system and struck the platform nearly destroying it and killing 80% of those on board. Evacuated towards the Mora system, the crew were notified of the confirmed death of Sir Brian by XBoat message as Duke Sir Leonard's government moved to root out the assassins. Discharged from the Imperial Interstellar Scout Service with a detached scout ship, the IIS Dawnstar Horizon. He and his S-Class served the port of Porozlo until after the war, and his discharge. That was until fate dealt him into a crew with the Knights. After months in their company, his ship was destroyed in the Rech system, and he turned on his crew while under investigation in the Regina system. As a result, (then) Dame Mikah declared him "persona non grata". He was granted a second vessel and sent on a mission into the Gvurrdon sector(Vargr space) by the office of (then) Duke Norris of Regina. (Then) Dame Mikah will be sure the weapons systems are functional on any ship she's aboard in case they ever get a sensor lock on Ryddoth's new ship. Zach made his career in Interstellar trade. Signing on as a know nothing grunt assigned to help lug things in engineering while he learned, Zach became noted for his ability to scrounge and get things cheap while also ailing to learn anything about starship engineering. Zach rose to the rank of First Officer though he resented not getting his Captain's stripe. Retiring, Zach was loaned the IMS Raining Coins with a cargo to sell by his employer to earn a "retirement bonus". 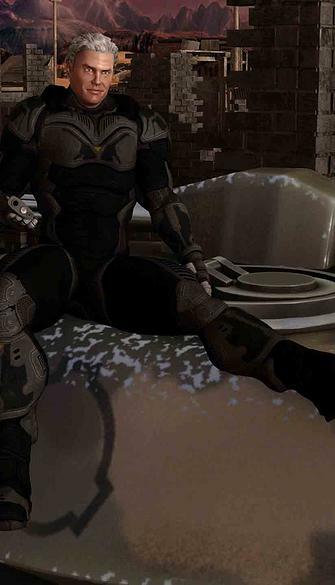 A mis-jump put him in the path of the ISS Dawnstar Horizon, the crew's former vessel, commanded by Kyle Van Ryddoth. The Horizon was destroyed, Ryddoth given a ship and separate mission in the Regina system. The rest of the crew were loaned the Hotel California. Since then Zach has been part of this crew as the ship's chief navigator, a gunner and their primary Merchant. Having achieved many missions for the now Arch-Duke Norris, the crew were awarded ownership of the Hotel California.